We're getting a new Halloween next year! Michael Myers is about to make his long-awaited return to the big screen for the first time since Rob Zombie's Halloween II, a movie most fans would probably like to forget. But this upcoming Halloween reboot is going to pretend as though that movie never happened. In fact, it's going to pretend that every Halloween sequel beyond the original movie doesn't exist, according to /halloween-sequel-john-carpenter-role-involvement/John Carpenter. Even though John Carpenter isn't directing the new Halloween movie, he is said to be heavily involved in the production. Instead, it's David Gordon Green (Pineapple Express) who gets that honor. He co-wrote the script with his frequent collaborator, Danny McBride (Alien: Covenant) and, according to Carpenter, their script is not only impressive, but it completely ignores everything beyond his first movie and exists in an "alternative reality." Here's what he had to say about while speaking with Stereo Gum. "It's kind of a...I don't know how to describe it. It's almost an alternative reality. It picks up after the first one and it pretends that none of the others were made. It's gonna be fun. There's a really talented director and it was well-written. I'm impressed." 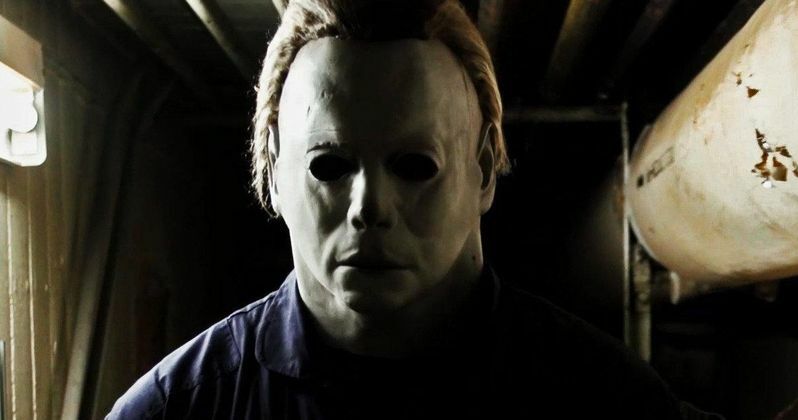 We've known for quite some time that this upcoming Halloween reboot is going do away with much of what happened in the later sequels, which essentially turned /halloween-reboot-movie-2018-production-script-soundtrack/Michael Myers into a supernatural, unkillable being. Not to mention some of the absolutely wacky plots that went on before Halloween: H20 came out. But the fact that this new movie won't even take the original Halloween II into account, which served as a direct sequel to the original, is somewhat surprising. This Halloween movie has an awful lot going for it. For one, Jamie Lee Curtis is coming back as Laurie Strode for "her final confrontation with Michael Myers." This marks the first time that she will appear in a Halloween movie since Halloween: Resurrection, in which, she was unceremoniously killed in the beginning of the movie. The movie is also going to feature Laurie Strode's daughter, as Judy Greer (Jurassic World) is in talks to take on that role. Plus, it's been given a very friendly release date by Blumhouse, with the movie set to arrive on October 19, 2018. That means it will be here just in time for the Halloween season next year and could set it up to be a huge hit. Production is expected to start very soon on the Halloween reboot, which means we should be hearing more about casting, and perhaps some more story details, pretty soon. John Carpenter didn't reveal anything else to Stereo Gum, but he's said in the past that he hopes to do the score for the movie, which would be a very cool way to include him in the process. We'll be sure to keep you up to date as more information on the Halloween reboot is made available.